Why do some actors compel our attention on the screen while others never catch our imaginations? What makes film acting different from acting on stage or TV? This book is a guide designed for actors already working in film, for those who want to, as well as for directors, teachers and anyone interested in film acting. 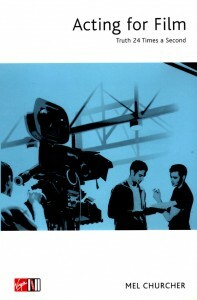 The majority of young actors have ambitions to succeed in the motion picture industry. But how do you do it? The author uses her wide experience as an acting and voice coach on major movies to offer insights into the film acting process. She provides tasks, techniques and tips that are designed specifically for film – there’s advice to make the first-time film actor feel at home on set, tips on the casting process, how to cope with auditions, on-camera techniques, schedules and shooting order, as well as specific advice from film crews to help an actor’s performance. 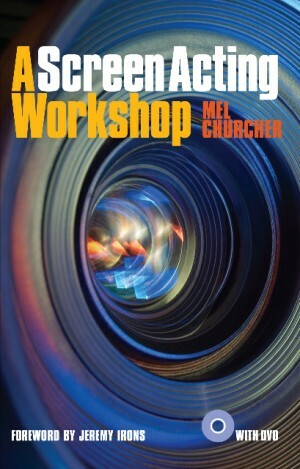 This practical workbook combines exercises and anecdotes in an informal and accessible style, making it a useful guide for anyone wishing to light up the silver screen. It is also available in a Kindle edition. “Essentials of Screen Acting” in the new edition of Actors’ Yearbook (Methuen Drama) (Paperback) edited by Simon Dunmore with Chris Denys.